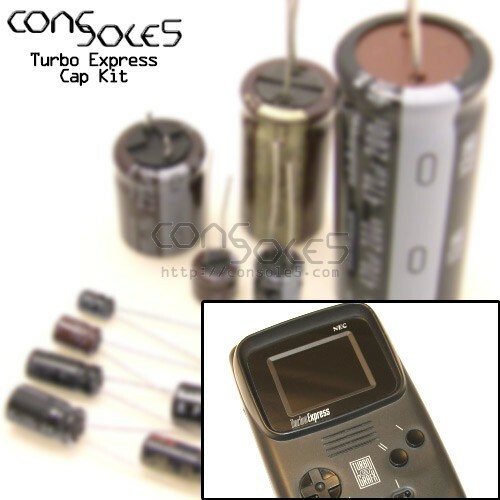 This kit contains all parts necessary to replace the electrolytic capacitors in the NEC Turbo Express or PC Engine GT. Note: Due to size constraints, factory RF shielding may need to be altered or removed to install this kit. A direct-replacement SMD cap kit is also available, see related products for more info!